Sparx Systems equips Enterprise Architect users with a model-based framework for implementing architectures using the TOGAF-9 Architecture Development Method. 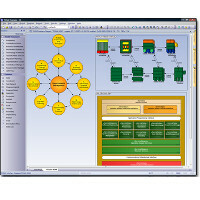 Tightly integrated with Enterprise Architect, MDG Technology for TOGAF extends UML 2.4.1 to support The Open Group’s approach to information systems architecture. Sparx Systems equips Enterprise Architect users with a model-based framework for implementing architectures using the TOGAF 9 Architecture Development Method. Tightly integrated with Enterprise Architect, MDG Technology for TOGAF extends UML 2.4.1 to support The Open Group’s approach to information systems architecture. Underpins the organizational viewpoints and structures of the Zachman Framework with great depth, breadth and modeling integrity. Sparx Systems Enterprise Architect models are based on the UML 2.4.1 standard, with extensions for requirements modeling, testing, project management, mind mapping, and much more. Sparx Systems’ new MDG Technology underpins the organizational viewpoints and structures of the Zachman Framework with great depth, breadth and modeling integrity. 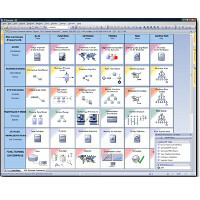 Sparx Systems Enterprise Architect models are based on the UML 2.4.1 standard, with extensions for requirements modeling, testing, project management, mind mapping, and much more.